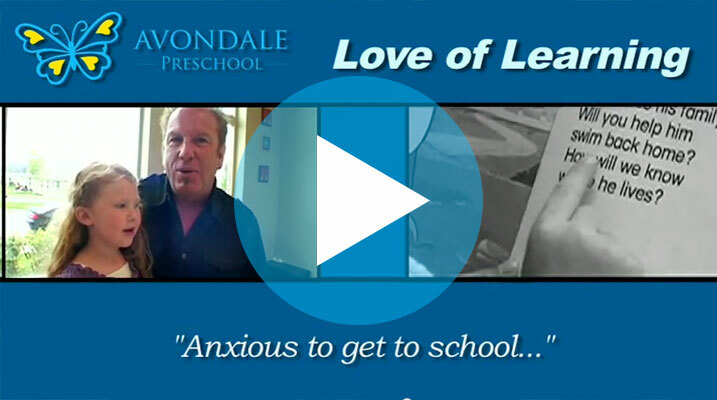 Hear what parents have to say about their experience at Avondale Preschool. As a former elementary teacher, it was very important for me to find a preschool for my child with a good solid curriculum. I love Avondale Preschool’s curriculum. I especially like the reading program in which reading is taught using both a phonetic and holistic approach. Also, skills are taught using a variety of different methods, which caters to all types of learning styles. At Avondale Preschool, my child is encouraged to excel, and has also developed a great love for learning. Thanks Avondale Preschool! Mrs. Harman is the best teacher ever. Chanel was “difficult” kid before. Mrs. Harman helped her by calling her “angel” Chanel responded so well to her. Thank you for helping Chanel have more confidence.